I’ve spent countless hours watching almost every video released so far, for 2016, and so far, Thunderstruck 15 gets my nod for best film of the year! If you haven’t already, you MUST pick up a copy, available in DVD, Blu-Ray, and iTunes! Thunderstruck 15 is an amalgamation of riders and styles, following the Thunderstruck crew and many, many guests throughout their journey of the 2015-16 season. Purchase Link: CLICK HERE TO PURCHASE THE MOVIE. Let me start off with a disclaimer: A BUNCH of my footage was used in Thunderstruck 15. Of course, I’m going to be a little partial, based on that, but being as honest and unbiased as I can be, this film is the best of the Thunderstruck franchise. To put it simply, if there’s one sled flick you buy this season, make it Thunderstruck 15. So what about this film makes it so special? For starters, variety. Yes, it has all of the things we’ve come to expect from a Thunderstruck film: epic scenery, huge chute-pulls, and gut-wrenching crashes. 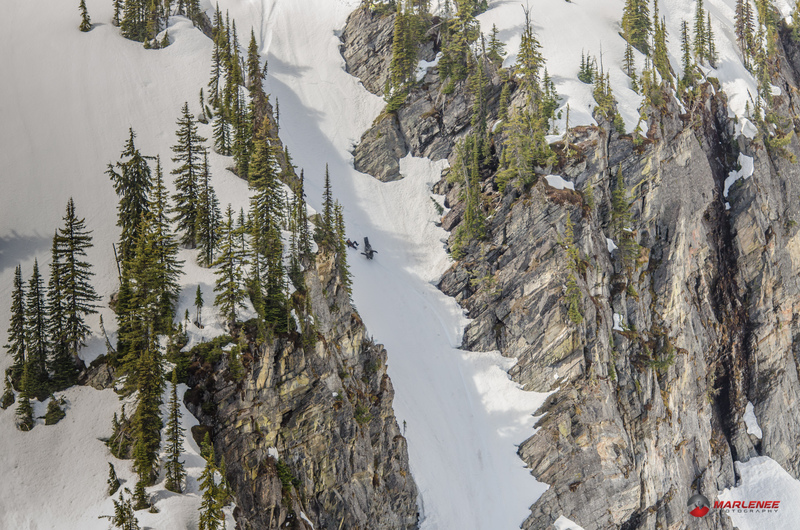 But, it also covers the entire spectrum of riding beyond just chutes: big air, backflips, deep powder, snow bikes, big mountain, and technical tree riding. The Thunderstruck regulars, including Trennis, Julio, Randy Swenson, John-O, Rozzy, and Shawn Hastings bring the adrenaline with expert precision as they navigate some of the gnarliest, technical, and tight climbs in North America. And, it’s not always a success; expect some awesome carnage as these machines tumble down. Hey, if totaling a $30,000 machine sells videos, Thunderstruck should be at the top of the list, every year. 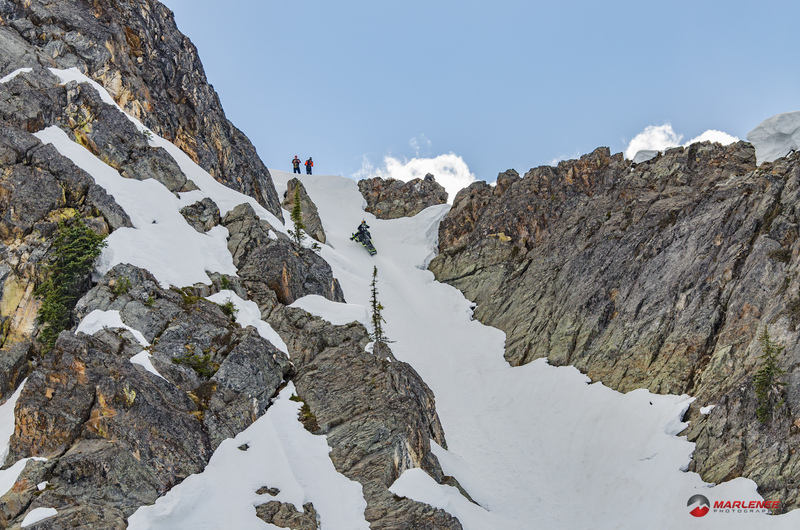 There are a couple of first-ascents, and some of the usual climbs, but one thing I noticed on a lot of the climbs this year is the snow conditions. There are a lot of pulls where the snow is visibly icy and glossed over. I can’t imagine the rush as these athletes feel their sled breaking loose beneath them. In filming with the guys from Thunderstruck, if there’s one athlete that always amazes me, it’s Randy Swenson. All of the riders are crazy-talented, and until you see some of these mountains, in person, you will NEVER grasp the terrain; think of how your GoPro footage looks after you pull a ‘sick line’, and then look how these pulls appear on TV and I can promise you that it does no justice. But, for Swenson, he’s mastered the chute climb. His climbs always look effortless. His throttle control is dead-on. His technique is graceful and calm. It’s pure perfection. Then, there’s there’s the young guns. 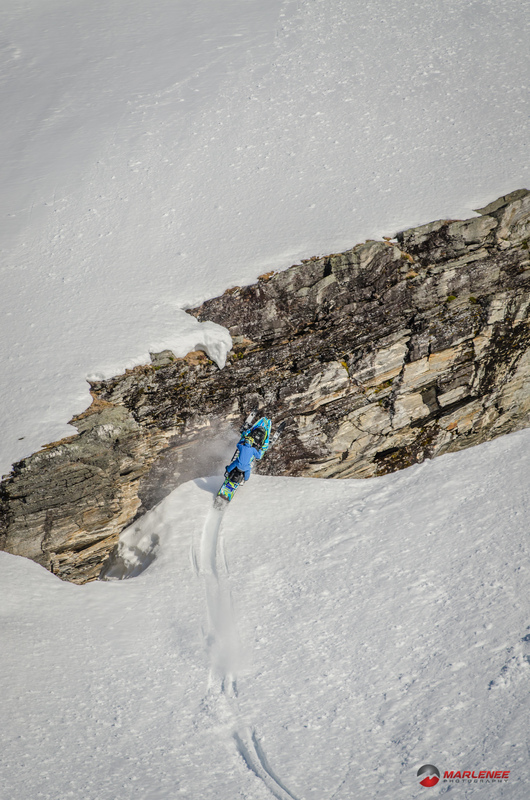 Again, Caleb Kesterke shows his agility and youth as he shreds the back country. After watching his segment, I can’t believe he didn’t spend a little time in the ER (he takes a couple of nasty spills). But, he also pulls off some pretty incredible lines and maneuvers. Linden Ladouceur’s section is something of dreams. Filled with powder busting face-shots and technical prowess, I was left wanting more. Finally, Brock Hoyer puts on quite the performance, showing us what a Timbersled can actually do. Shad Simmons tops my list, for the 2016-17 season, of riders to watch, especially after the feats in this film. 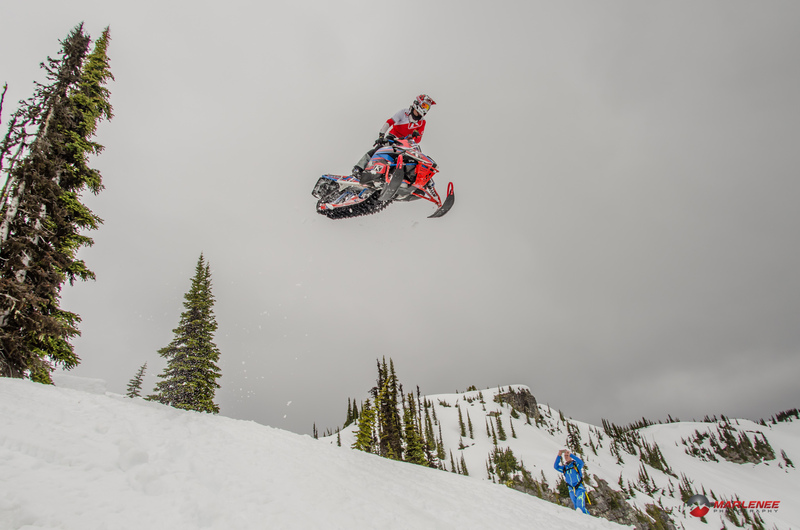 He has a style that is unique to the sledding world. 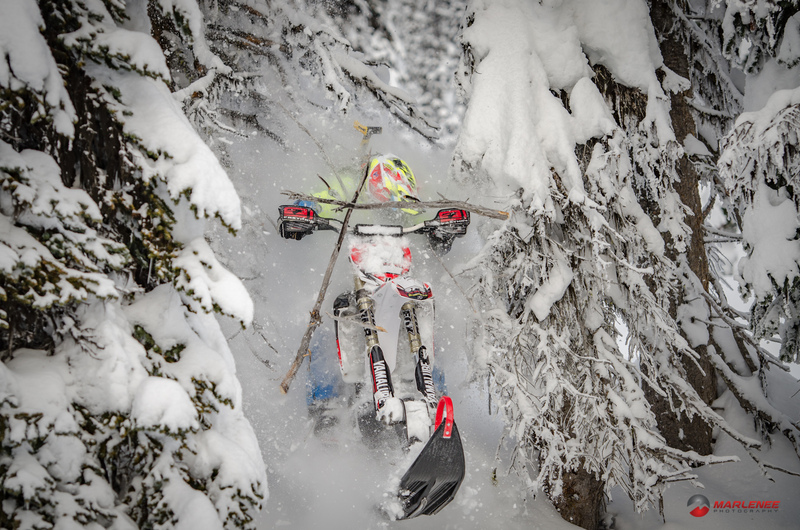 More than any other rider, I love watch Shad huck his sled, defying gravity, as he leans to the side. His style transcends to the backcountry as he seems to constantly be proving his youth and athleticism. Plus, as an added bonus, we get a perfect scorpion out of Shad. If there’s one segment that stood out to me, it is guest rider Adam Onasch. Onasch has a laundry list of video features with Dan Gardiner and the Boondockers. How he’s managed to fly, somewhat under the radar, for so long, I’ll never know. In his Thunderstruck 15 appearance, Adam kills it, with riding across the entire spectrum. His section opens with the creek-dominating riding, typical of the Boondockers crew. Within a few minutes, Onasch is airing it out off natural and kickers. And, impressively, he straight kills it on some huge pulls, a couple of which were super-technical and required a ton of Colorado-style body positioning, pedaling, and hop-overs. In fact, I exactly remember one of these pulls, being there, and everyone was screaming for him to turn out as he hit ice just before the commitment point. Not to be strayed, he pinned his VOHK-built Boondocker turbo, and finessed his way through the wind-lip at the top. No one could believe it. It doesn’t stop with just a few riders. Every section, segment, and athlete has something that I want to watch. At nearly two hours, this film has more than enough content to satisfy anyone, making it great for my travel library. In fact, the only thing I can say this film is really missing is a few KJ-style drops, it’s really that complete. And, if the riding isn’t enough, the music is perfectly matched to each segment and rider, and again has good variation and is well timed to the action. The camera work is spot on, highlighting the angles and intensity, especially the aerial footage (ha ha).